For visitors interested in the latest from the worlds of mobile travel services, social networking and blogging the eTravel World at ITB Berlin is the place to be to obtain in-depth web knowledge. From 6 to 9 March 2013 the focus in Hall 7.1c is on social networking sites, online marketing and optimising search engines. 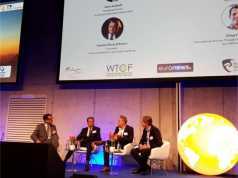 Visitors to the panel discussions, lectures and workshops can obtain valuable tips from experts and practitioners on how to make the best use of social media and mobile travel services in the travel industry. 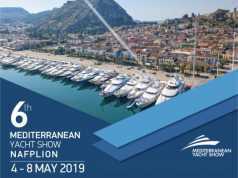 Due to high demand, for the first time eTravel World events will also be taking place on the Saturday of the show (9 March). From 1.30 to 2 p.m., Mariette Du Toit-Helmbold, CEO, Cape Town Tourism, will be talking about how tourism organisations cooperate with social media experts, local residents and travel bloggers in order to tell a destination’s story. Social networking sites have long become an established part of many consumers’ everyday lives. On 6 March, from 1.30 to 2.30 p.m., Adam Medros, Vice President Global Product, TripAdvisor LLC, Torsten Sabel, founder of the Customer Alliance and Benjamin Jost, CEO, TrustYou, will be discussing how this impacts on companies and their business strategies. At 4.30 p.m. the agency LBi Germany will be talking about the internet needs of the over sixty-fives and how to exploit this potential market for the online travel industry. On 8 March at 3 p.m., Dr. Ulrich Baumgartner of the legal offices of Osborne Clarke will be talking about German data protection law, the many new challenges which mobile apps pose to companies, and be giving practical advice. On 8 March from 1.30 to 2 p.m., Sebastian Canaves of the popular travel blog off-the-path.com will be talking about how his travel blog began and how to establish an audience of fascinated readers in a short period of time. 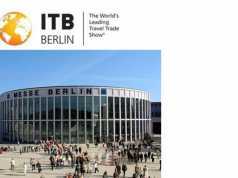 This year, ITB Berlin has compiled a list of events on its website recommended for bloggers. They include panel discussions, workshops and events of interest to bloggers both from Germany and abroad, for example ITB Travel Massive on the eve of ITB Berlin, a matchmaking event for exhibitors and bloggers on 7 and 8 March, and lectures at the ITB Berlin Convention. On 4 March, coinciding with ITB, the latest edition of the Mobile Travel App Guide will appear in the ITB Library. Published by mvolution GmbH, it is available both in hard copy and online: ITB Library. 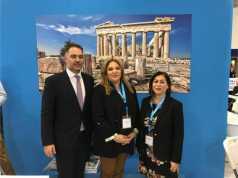 The following are partners and sponsors of the eTravel World at ITB Berlin: AdCloud, Animod, B2Perfomance, Cancelon, DRV Service GmbH, Faktor3 AG, Giata GmbH, Michael Müller Verlag, Schleifenbaum, TBEX, TNOOZ, Tourias Mobile, Touristiklounge and Visit Berlin.